Grant County is in east central Washington along the Columbia River. Major cities here are Ephrata, the county seat, Moses Lake, its largest city, and Electric City, Quincy, Mattawa, and Warden. The county population is about 89,000 people. It is situated between the Okanogan-Wenatchee National Forest and Yakima to the west and Spokane to the east. Bordering the county to the north are the Colville and Spokane Reservations. Grant County has many large natural and recreation areas, including the Potholes Reservoir, made up of a reservoir of the same name as well as Moses and Banks Lakes, and several lakeside state parks. The county’s first settlers intended to raise livestock here and it has remained largely agricultural ever since. Thanks to the Grand Coulee Dam, one of the area’s best known features, farms and land here can use irrigation and hydroelectric power harnessed from the Columbia River. 3 Beds | 1.75 Baths | 1563 sq. Ft. Very Charming 3 bedroom 1 3/4 bath sits on 3 city lots. Fully fenced yard with lots of space for growth. New paint and carpet. MOVE IN READY. 5 Beds | 2 Baths | 2530 sq. Ft.
4 Beds | 1.75 Baths | 1623 sq. 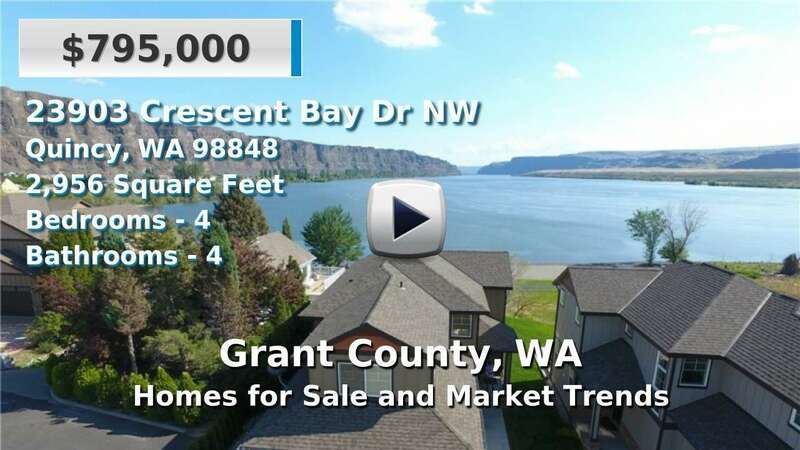 Ft.
Blue Summit Realty has the most accurate and up to date Grant County real estate listings on the web. Currently there are 233 homes for sale, 20 condos for sale, 5 rental properties, and 294 vacant land properties in Grant County. Of the 571 total Grant County residential listings for sale 5 are bank owned, 0 are short sales and 35 are new construction and 1 are townhomes. The price ranges from $78,000 to $1,295,000 with a median list price of $310,536 and median sold price of $195,153. Make sure to refine your Grant County real estate search by property type, price, square footage, bedrooms, bathrooms and more with the search tool above or view the Grant County listings on our interactive map. Our Grant County real estate listings were updated 11 minutes ago.